Monica T. Smith is an experienced mental health professional with a wide range of counseling experience in community mental health, partial hospitalization, inpatient psychiatry, crisis services and private practices. Her strong foundation in the fundamentals of psychotherapy is complemented by her understanding and study of the ever growing field of neuroscience. 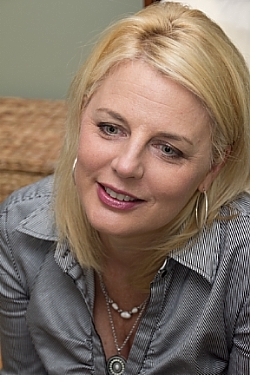 Through the use of integrative and holistic treatment, such as Eye Movement Desensitization and Reprocessing (EMDR), Dialectical Behavioral Therapy (DBT), Cognitive Behavioral Therapy (CBT), energetic medicine and nutritional medicine, her focus is on helping her clients heal, by addressing the underlying cause of symptoms. She believes that the mind and body have an innate ability to heal, and will always move towards a state of balance and equilibrium when allowed to. This is the premise of her work with clients. Monica is Licensed Marriage and Family Therapist in the State of Connecticut, and also has a Masters degree in Business Administration. She has over ten years of experience counseling individuals, couples and families with a multitude of issues including depression, anxiety, bipolar, addictions, grief/loss, divorce, financial problems, marital problems, parenting, illness, self-esteem issues, and abuse. She believes that you cannot separate the mind, body, and spirit and that each of these areas must be given attention to heal and feel vital, balanced and whole.